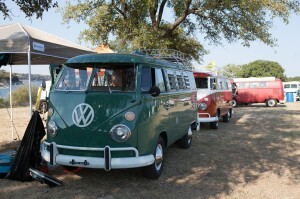 The one event I’ve been telling all of our new recruits about this year was Texas Busfest. 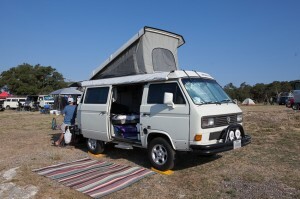 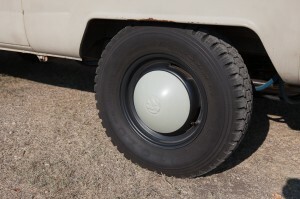 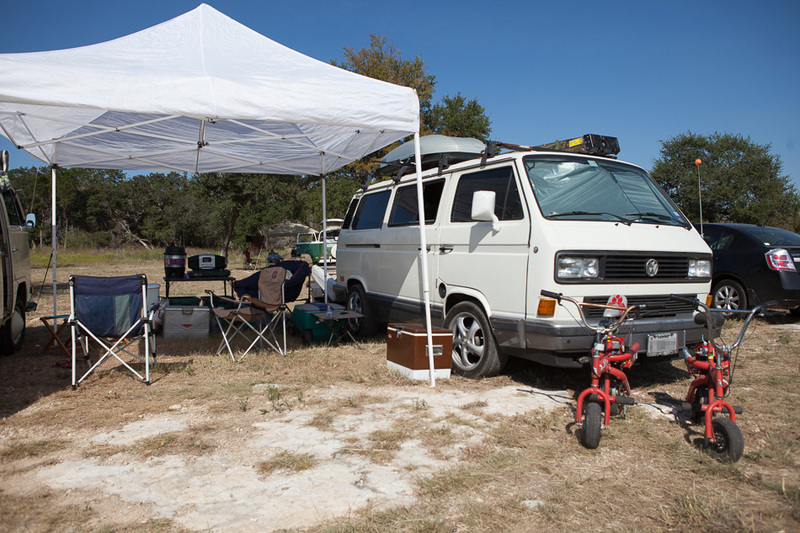 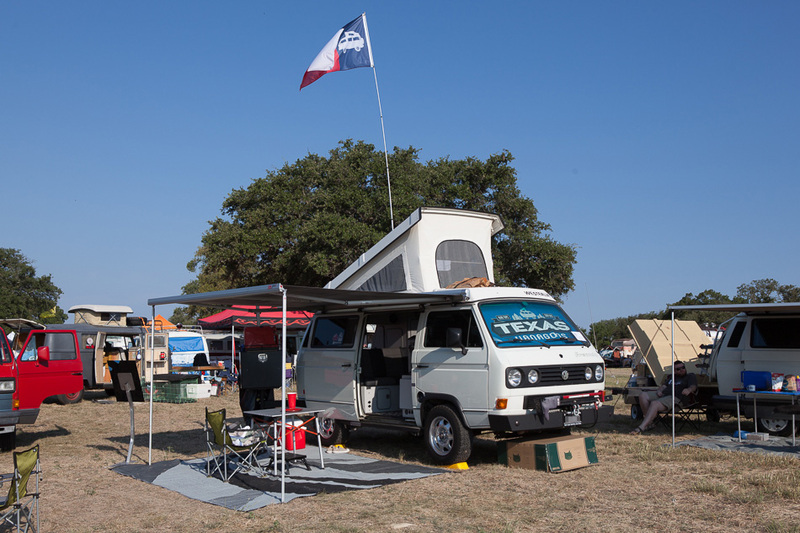 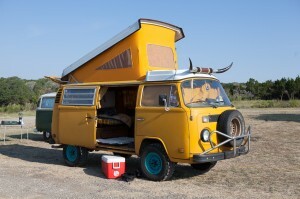 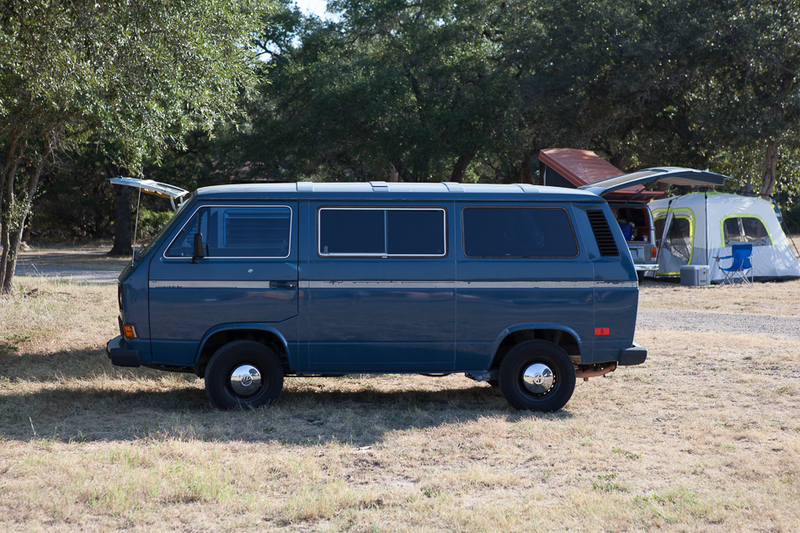 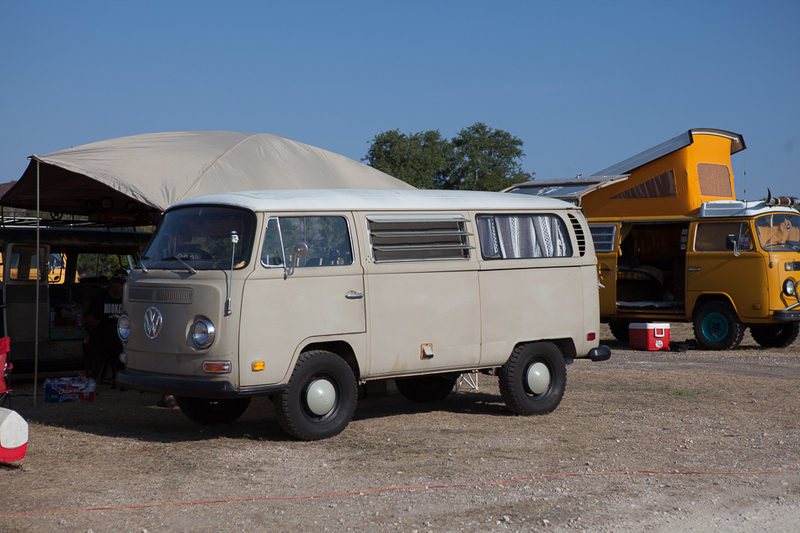 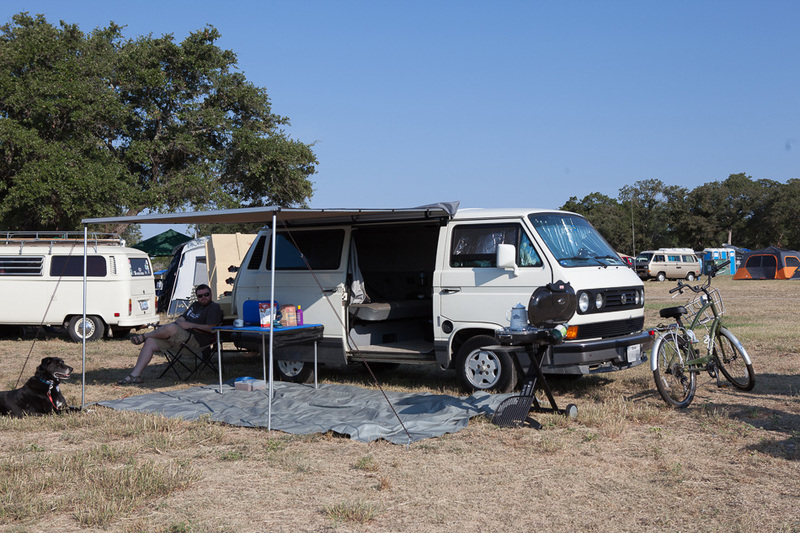 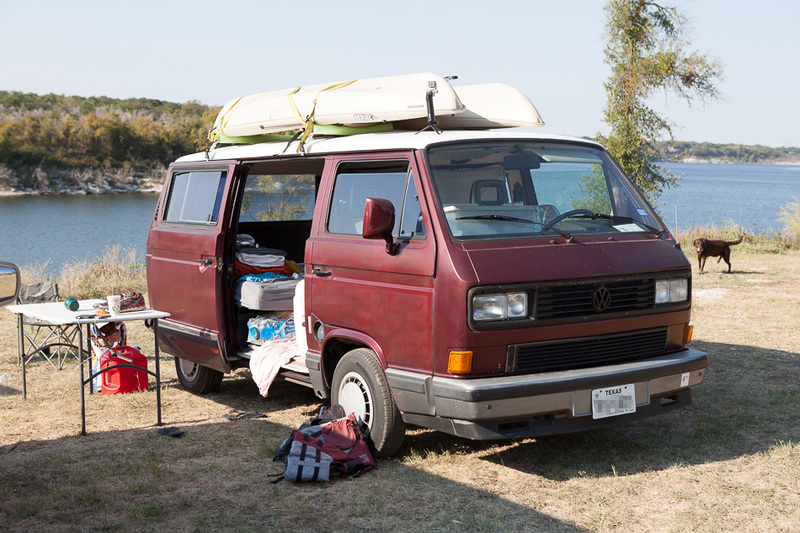 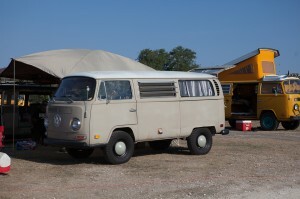 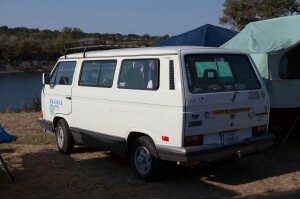 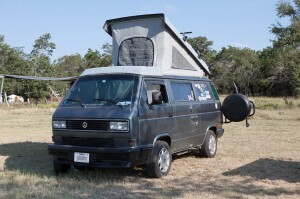 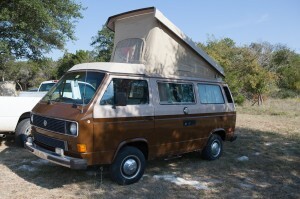 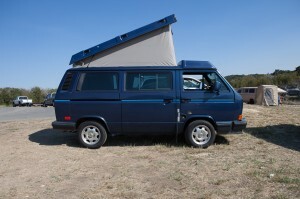 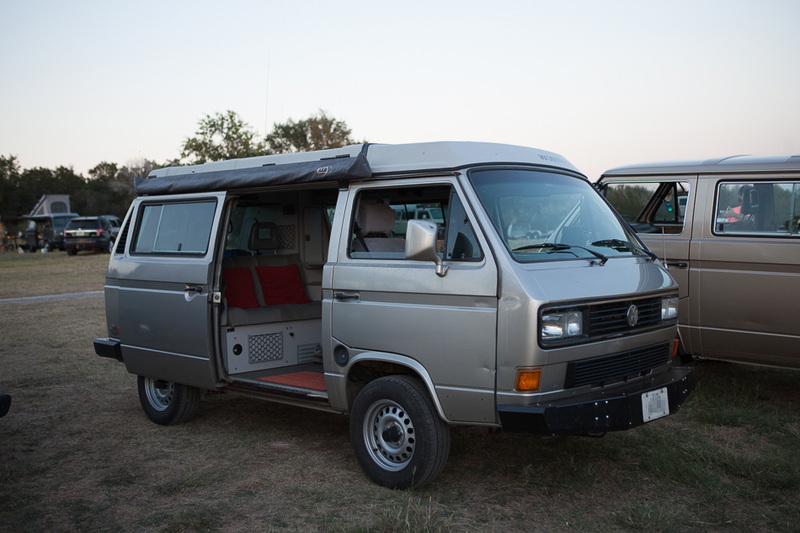 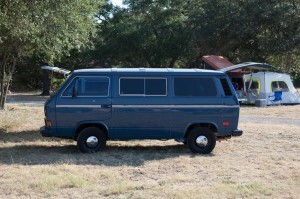 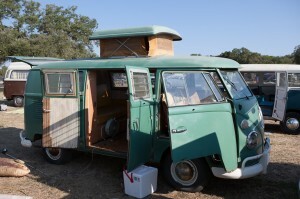 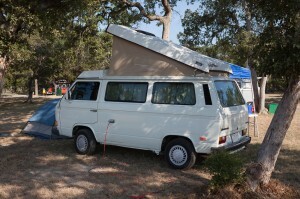 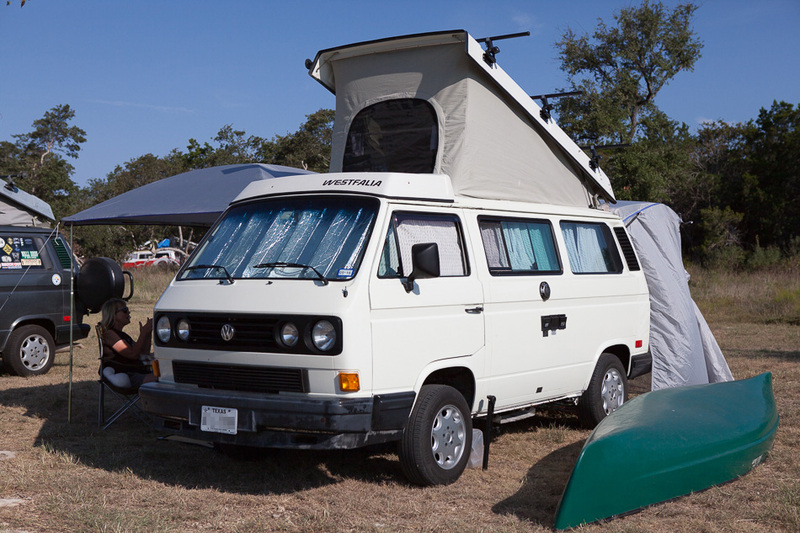 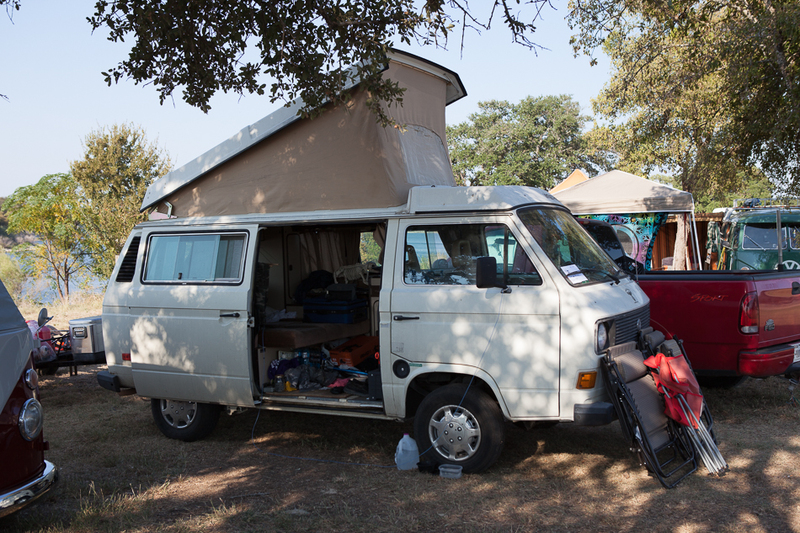 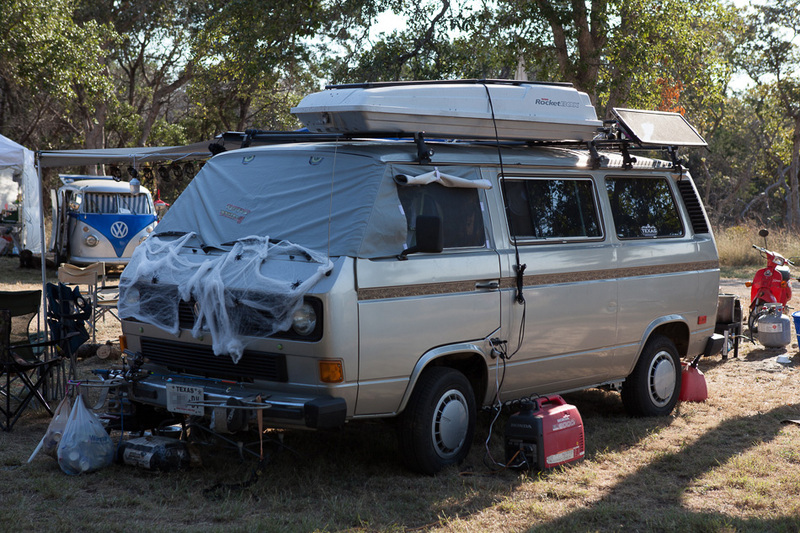 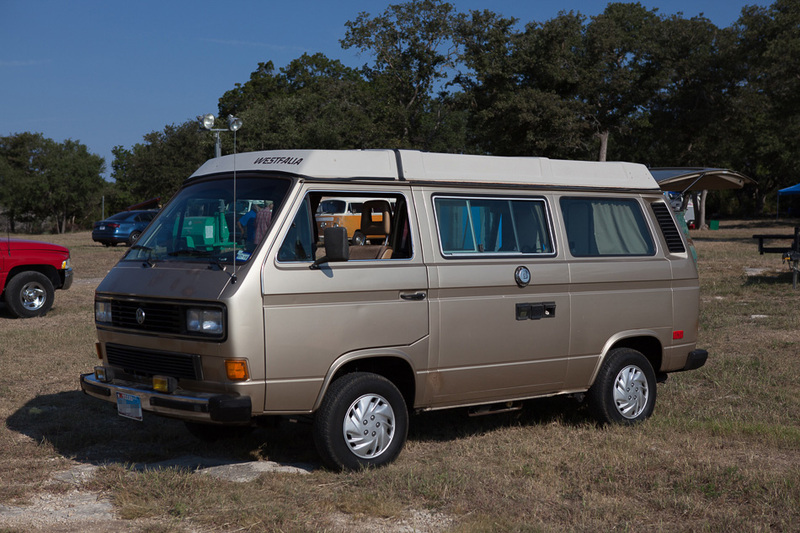 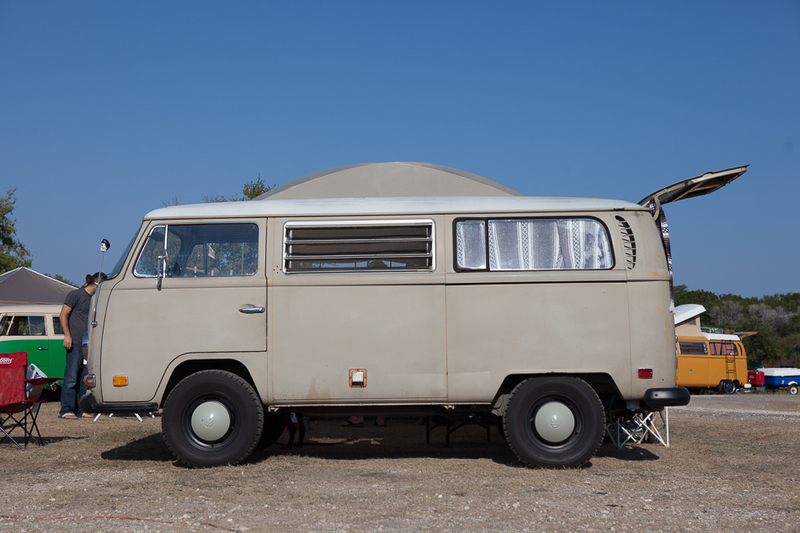 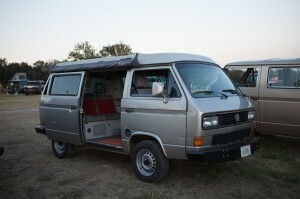 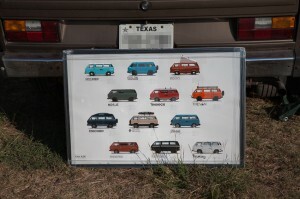 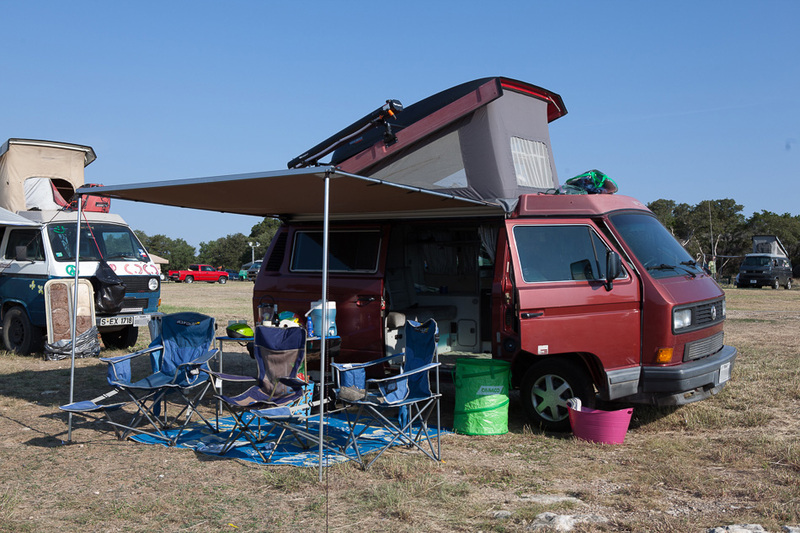 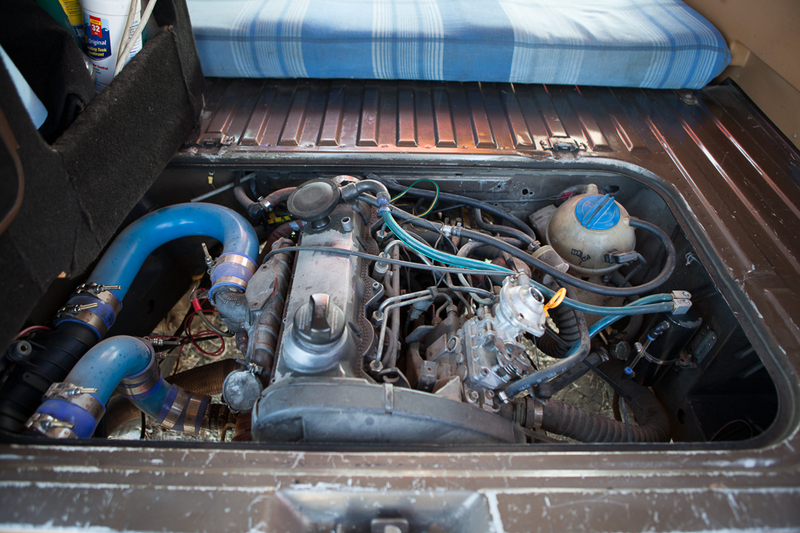 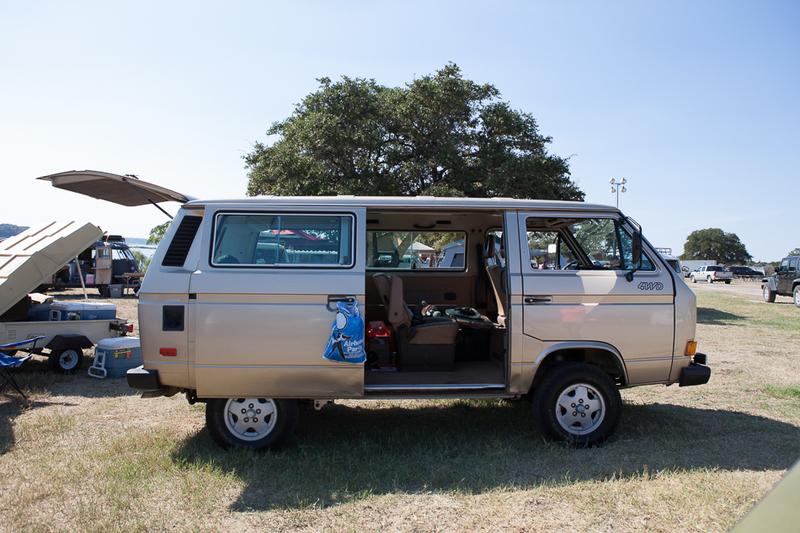 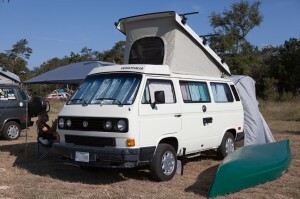 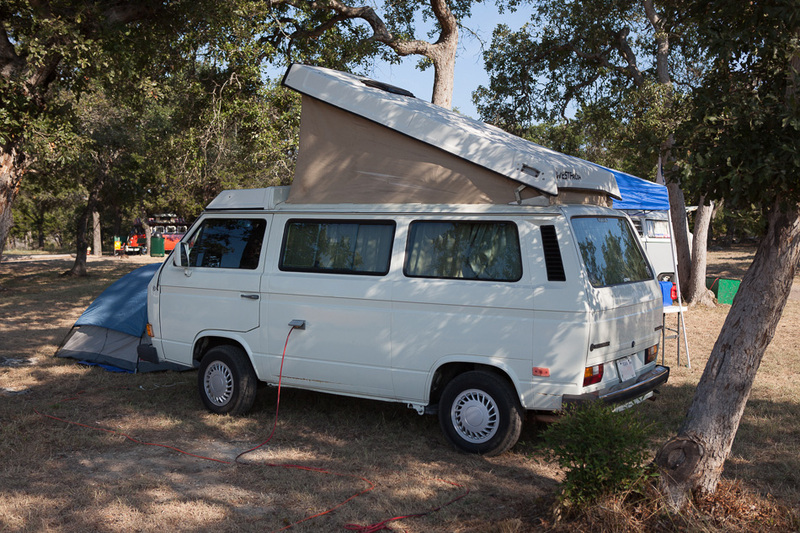 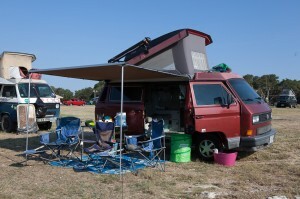 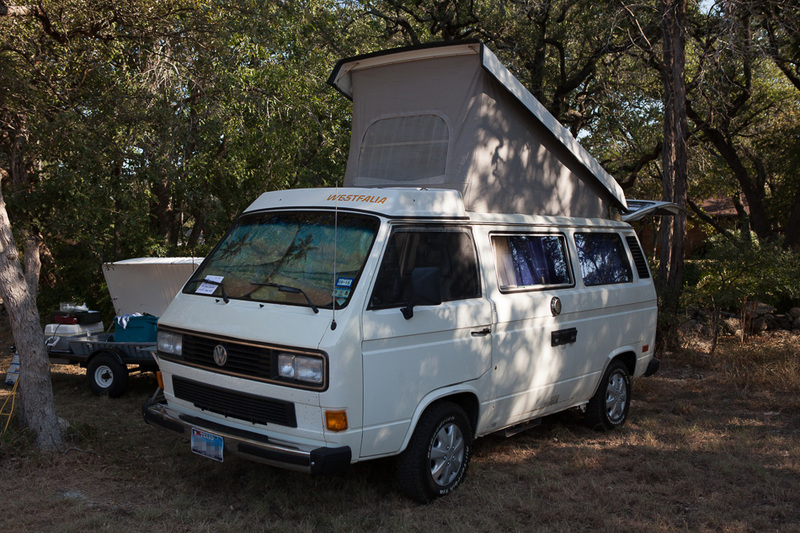 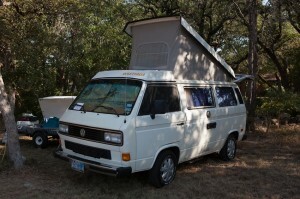 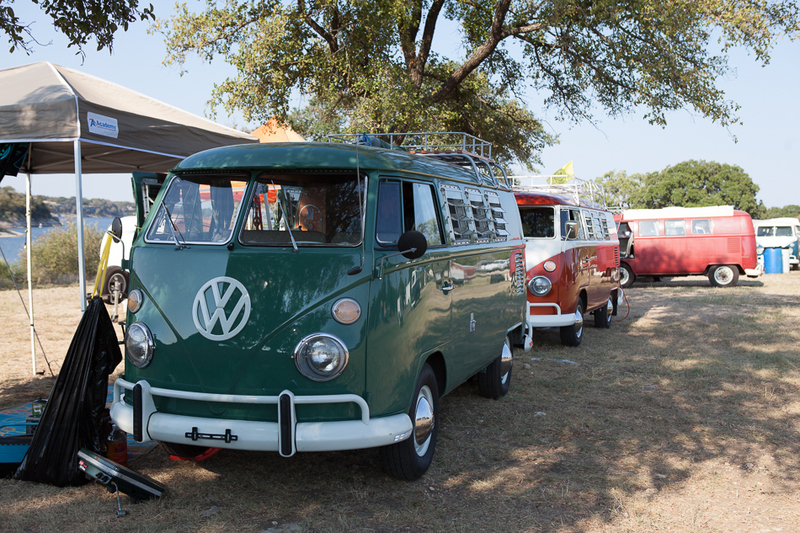 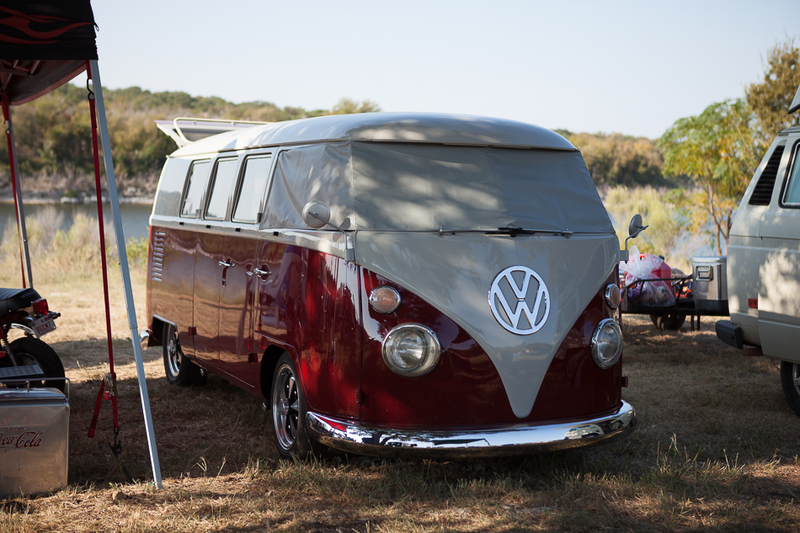 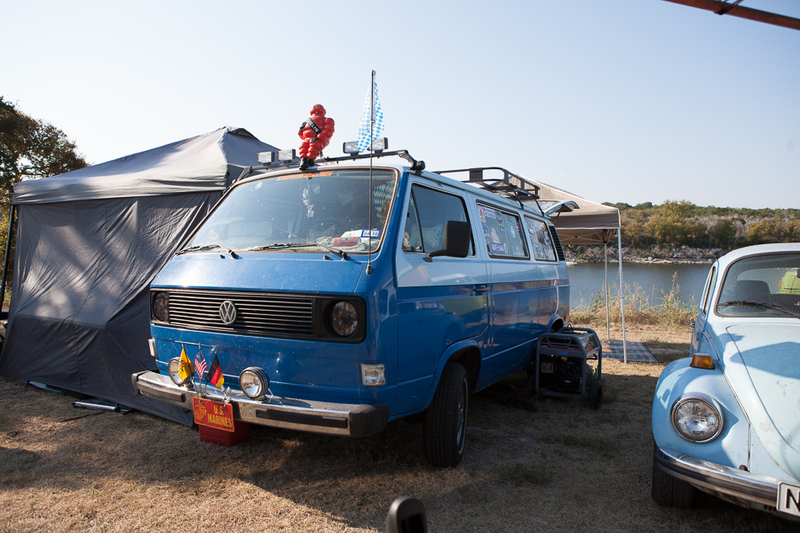 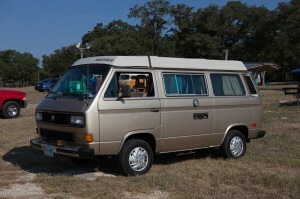 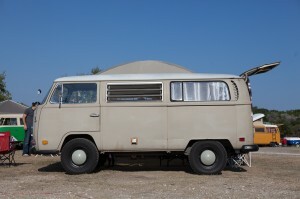 This is the largest Texas VW Bus/Van Campout on the books so I was really fired up about getting as many Vanagons to attend as possible. 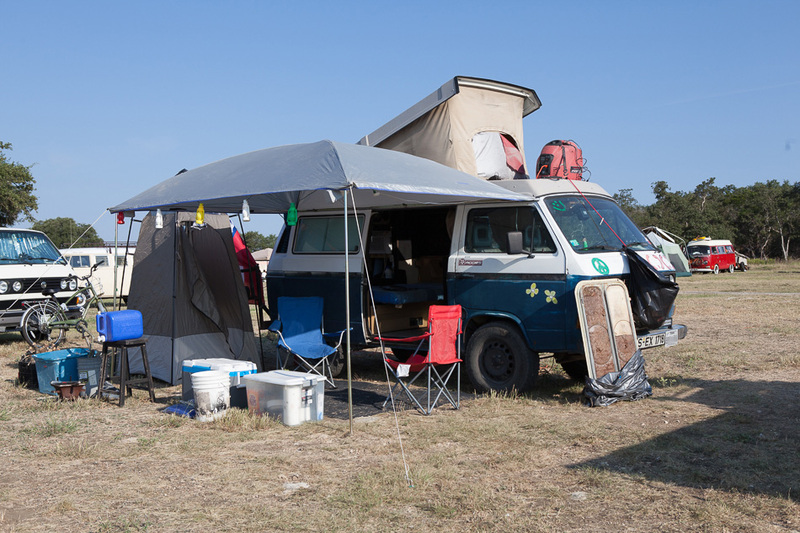 This event is held on the second weekend of October and has rained almost every previous year. 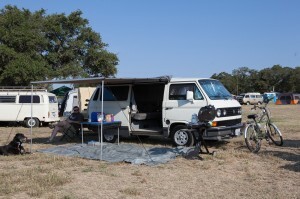 This year we had zero rain but it was a hot one indeed! 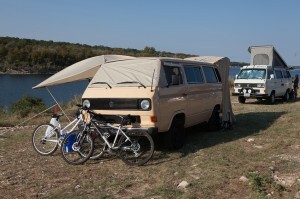 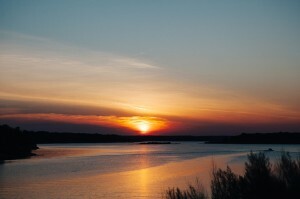 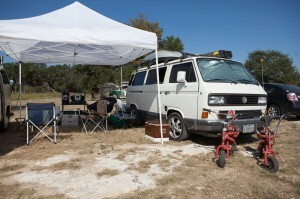 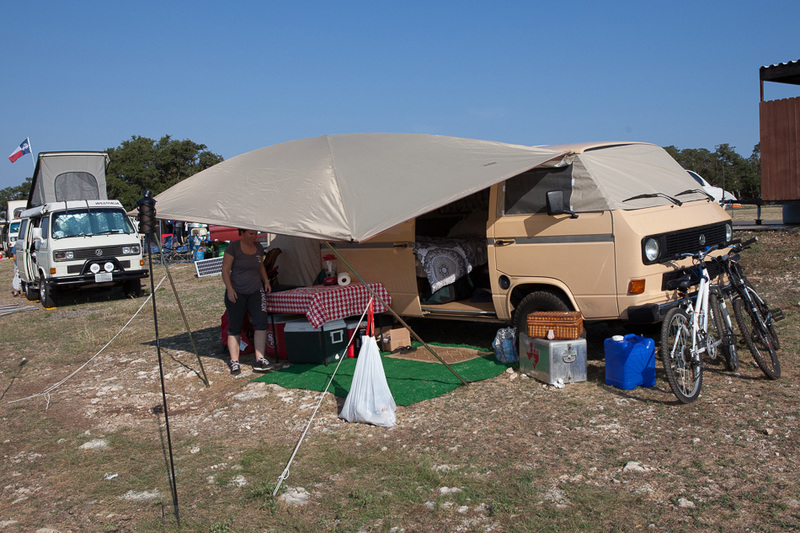 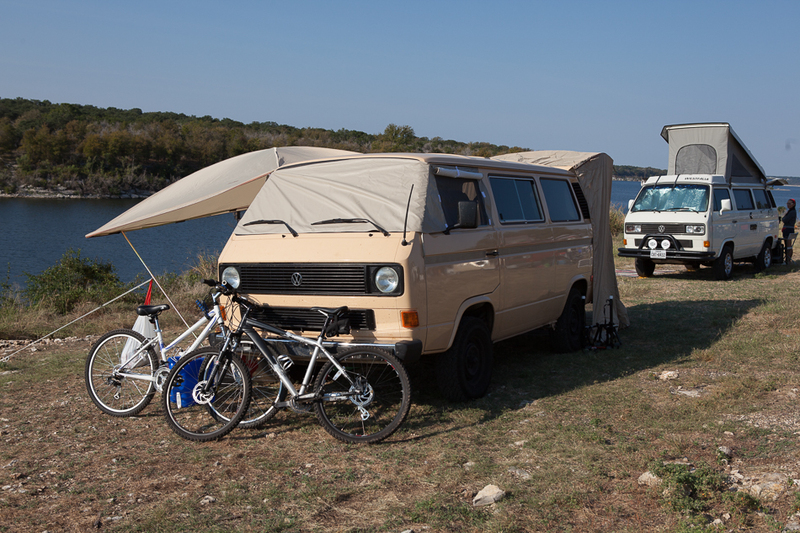 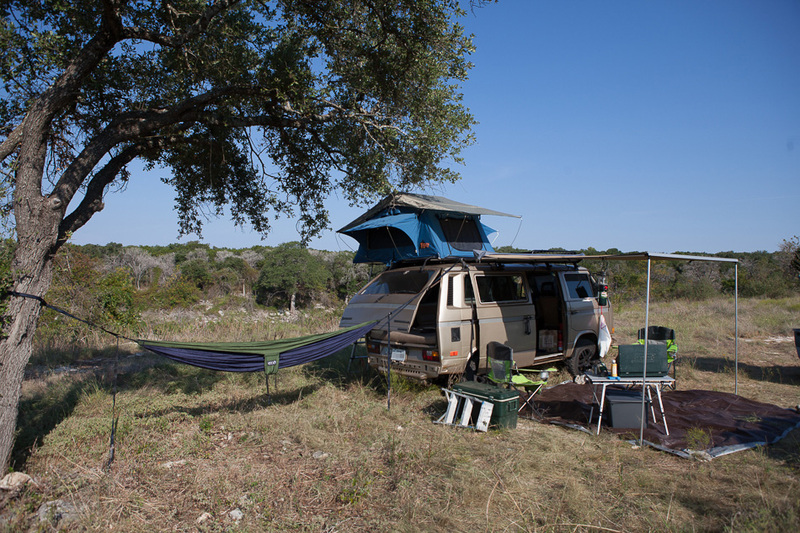 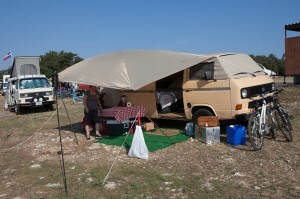 The campout is held in a City owned park in Morgan’s Point Resort, TX which sits right on Lake Belton. 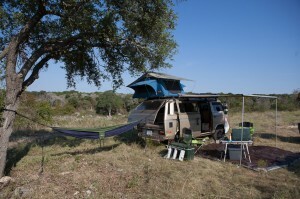 About an hour north of Austin. 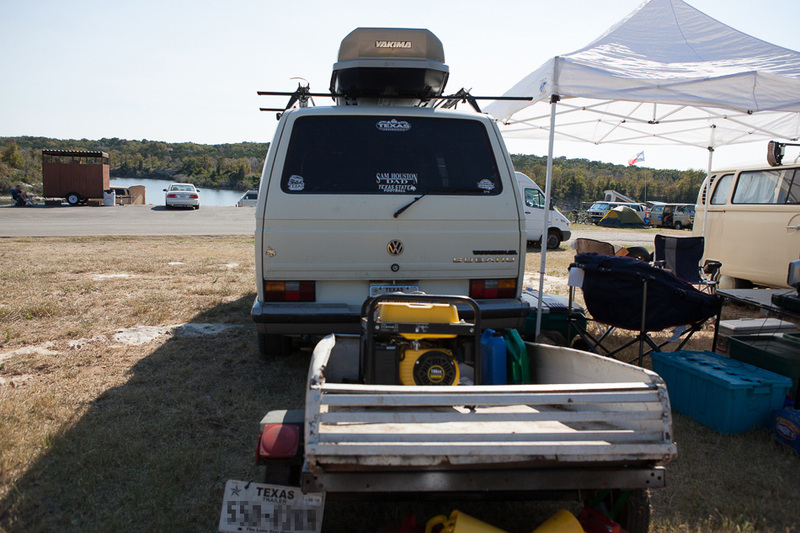 Every year this event donates all of the proceeds that are raised by way of entry fees, raffle tickets, auction items etc to the Morgan’s Point Police Department. 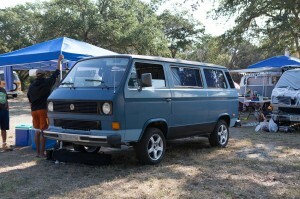 This year we had a grand total of 28 Vanagons in attendance with about 4 members having to back out at the last moment. 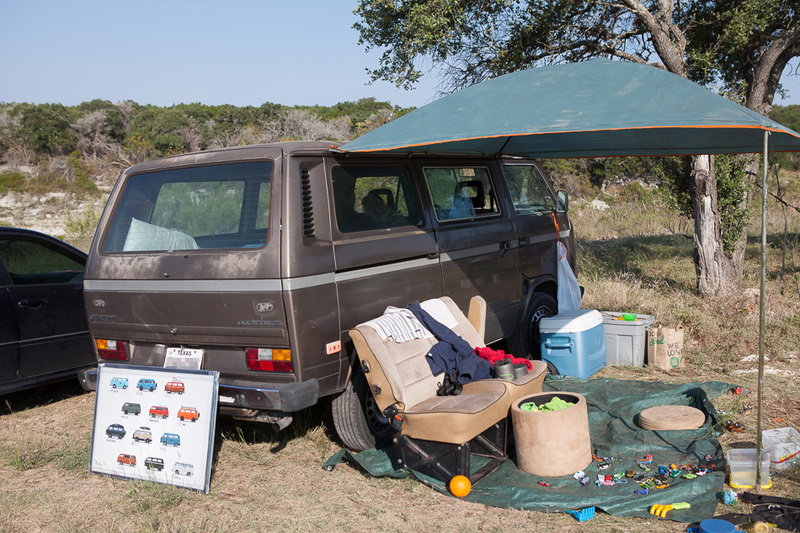 Bummer. 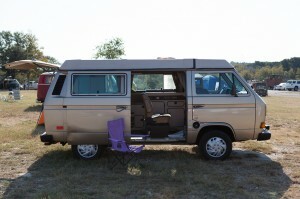 Next year it’ll be my goal to hit 35 Vanagons! 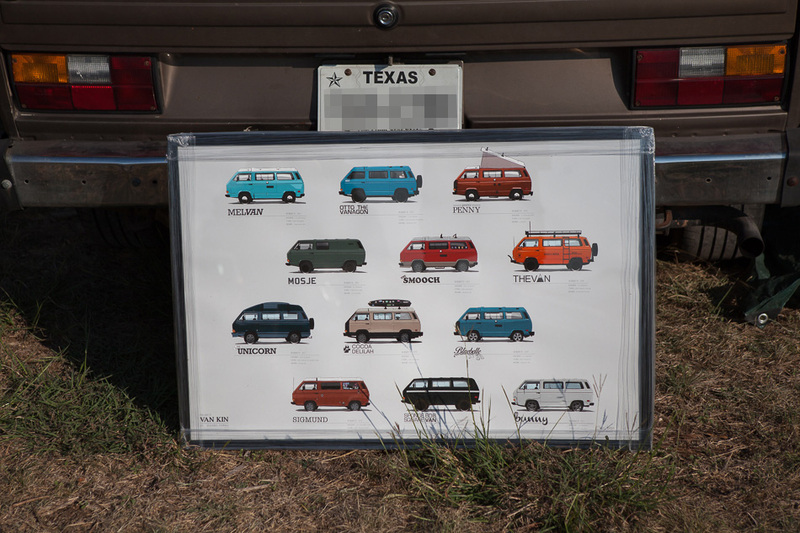 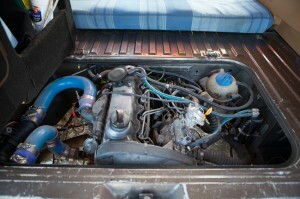 The total vehicle count this year was 101. 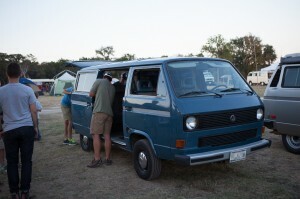 It’s awesome that more than 25% of that were Vanagons!